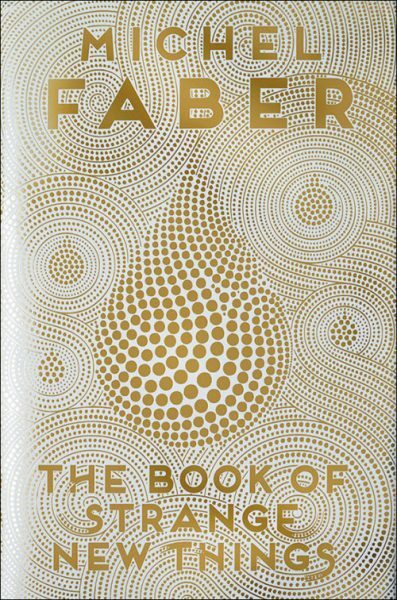 Scottish independent publisher Canongate has been catching eyes with a string of striking and innovative covers, from the exposed stitching on the spine of the first hardback edition of Ruth Ozeki’s A Tale for the Time Being to the gold and silver foiled jackets for the paperback of Michel Faber’s The Book of Strange New Things. At the helm on these designs is art director Rafaela Romaya (@rafiromaya), whose career has taken her from Faber & Faber, via Pan Macmillan and Simon & Schuster, to an award-winning spell at Canongate. Working with partners including Yehrin Tong and consultancy Big Active, Romaya works to create covers that stand out from the millions of images we see each day. The goal is to see them become synonymous with the books they stand for. 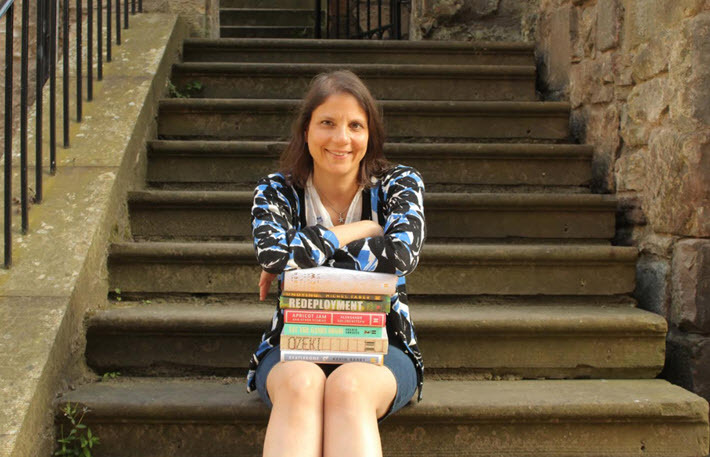 A glance at Canongate’s catalogue–and its awards cabinet suggests she’s succeeding. Publishing Perspectives: How long you’ve been working in publishing, and what brought you to the book industry for a career? Rafaela Romaya: After graduating in design (typography), I was lucky enough to get my first job at Faber & Faber with Ron Costley, who was one of the most generous and knowledgeable book designers I’ve had the pleasure to work with. Faber has an amazing design heritage and was the perfect place to learn my craft. I then took the role of senior designer at Pan Macmillan, then senior designer/creative head at Simon & Schuster, before becoming art director for Canongate, which was the natural progression for me. As well as designing, I love finding and developing new talent and working with other creatives from a range of disciplines, and Canongate’s eclectic list makes the role a very creative and varied one. RR: Recently my work with Yehrin Tong on a range of Michel Faber titles has gained huge recognition and has been very rewarding and fun to work on, which is great. There’s always an element of surprise and unpredictability regarding what draws people to covers, which is partly why each title gets the same amount of care and attention regardless of author or sales expectations. Sometimes the hardest books to design are those you feel the most affinity with, but these can also be the most rewarding. Experience has shown me that what can initially seem like setbacks – when not everyone shares your vision for a book – can lead to the most exciting discoveries and outcomes. RR: I always try to take ownership of my covers and keep the author, reader and publishing strategy in mind when designing them. I often have a very clear vision for the book and what it can achieve from the outset—finding the essence of the story through a small detail or unusual angle, and executing it in a style right for the audience whilst remaining distinctive. As well as creating a lot of my own designs, I enjoy finding and nurturing new talent to collaborate with, which is why I’m often asked if I’d like to be an agent. RR: This could be the same as my strength—I have quite eclectic and distinctive taste and always want to be moving things forward and trying new things, which can be a greater risk but hopefully a bigger reward. PP: Where do you want your career and work to be in five years? RR: I’ve worked on hundreds of covers and in all areas of book design and found most of the best things have a way of finding you; so just to remain open, interested and enjoying whatever it is I’m doing. RR: As recent sales figures show, people still love reading. It’s just how and what we’re reading that’s changed. For designers, we need to ensure we’re creating work that’s relevant to the world we live in. People are more visually literate than ever, viewing millions of images daily. Our job is to ensure covers continue to stand out from the noise and, when done well, become synonymous with the book. PP: Canongate has become known for its striking covers. What’s your favorite cover that you’ve worked on? RR: A Tale for the Time Being was a great one to work on and is one of my favorites too, working with Big Active. It was a new idea to publish all editions simultaneously and to create the first Blippar cover was the icing on the cake. 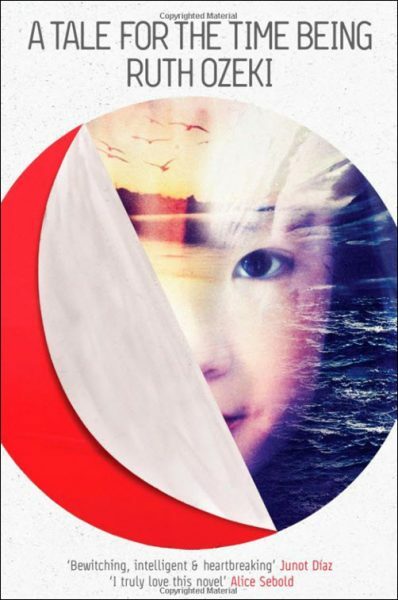 PP: And are we really in a new golden age of book covers? And if so, why? RR: There are some fantastic covers at the moment, but if you look back over time, great design has always been out there. Covers are more visible than ever, with apps like Instagram and Twitter, so you no longer need to go into a bookshop to view them. And they can be shared with the world with the click of a button. That’s the biggest change: designers are referencing a more global visual dialogue. Whether they’re consciously referencing it or not is a different matter.